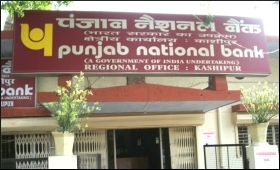 After returning to black in the last quarter, lending major Punjab National Bank (PNB) has set a recovery target of Rs 10,000 crore for the concluding Q4, said the company's Managing Director and Chief Executive Officer Sunil Mehta. "The bank has set a recovery target of Rs 10,000 crore during the current quarter. The target for the next fiscal is yet to be fixed," Mehta told IANS in an interview. The state-owned lender has recovered about Rs 16,000 crore in the last three quarters of the current fiscal. Apart from a separate stressed asset vertical, the bank has exercised a large number of steps to resolve the non-performing asset (NPA) issue. Currently, the bank runs a special "one time settlement" (OTS) scheme for NPA-2018 which deals with accounts of up to Rs 25 crore (outstanding as on March 31, 2018). "OTS camps are held throughout the country where borrowers and the bank try to arrive at a suitable negotiated amount," Mehta said. Besides, the company has also intensified the campaign for recovery in specifically identified accounts having 100 per cent provision provided for which is operative up to March 31, 2018. The move is significant as any recovery made under this campaign will directly impact the bank's profitability by way of release of provision. According to Mehta, more focus has been laid on recoveries through putting securities into e-auction under SARFAESI (Securitisation and Reconstruction of Financial Assets and Enforcement of Securities Interest Act, 2002) on an all-India basis. "Apart from placing the details of the upcoming e-auctions on our own portal, the bank is also uploading the auctions on the common portal designed by the Indian Banks' Association (IBA) for displaying properties being auctioned by the banks, starting with public sector banks," Mehta said. Last month, the lending major decided to place more than 4,000 properties all over India on e-auction as part of its loan recovery effort. The PNB is also expected to recover a substantial amount from its NPA recovery mechanism -- "Mission Gandhigiri" -- which will be completing two years of its operations. Launched in May 2017, the mission has consistently delivered positive results. It was born out of the need to name and shame the defaulters and urge them to pay back by increasing societal pressure. "Mission Gandhigiri" has a dedicated recovery team across all circles of the bank. Accordingly, the passive recovery mechanism entails the team members visiting the borrowers' office or residence and sitting there silently with placards that have hard-hitting messages such as "It is public money, please repay the loans". However, for high value stressed assets, the National Company Law Tribunal (NCLT) has emerged as the primary platform for resolution, Mehta said. Recently, the bank bounced back into the black for the first time in the last three quarters with a net profit of Rs 247 crore for the third quarter ended December 2018. The net profit during the quarter under review had risen 7.1 per cent to Rs 247 crore over the Rs 230 crore profit after tax (PAT) reported for the corresponding quarter of 2017-18. The bank, hit badly by the multi-million dollar Nirav Modi scam last year, posted a net loss of Rs 4,532 crore during the July-September quarter of the current fiscal.